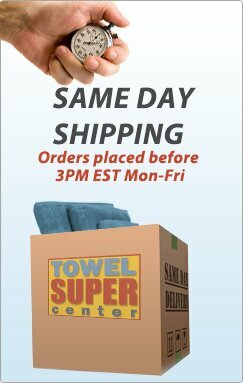 At Towel Supercenter, we strive to provide the absolute best products and customer service. The more we know about you the better we can serve you. We collect information through your transactions with us. We may also collect information from verification sources and commercial sources such as permission-based marketing lists. In out ongoing effort to provide outstanding customer service, we may use your information to better understand what types of products are good fits for our customers and to respond to your inquiries. We may contact you with offers, products or services that we think you will enjoy. However, we will only send you marketing materials with your permission. 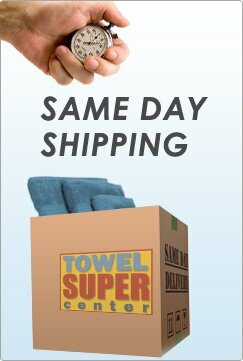 You may change your marketing preferences at any time by updating your profile at www.towelsupercenter.com. To contractors or other entities in order to fulfill your order or provide service. As you browse Towel Super Center, advertising cookies will be placed on your computer so that we can understand what you are interested in. Our display advertising partner, AdRoll, then enables us to present you with retargeting advertising on other sites based on your previous interaction with Towel Super Center. The techniques our partners employ do not collect personal information such as your name, email address, postal address, or telephone number. 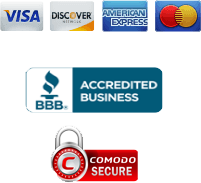 You can visit this page to opt out of AdRoll’s and their partners’ targeted advertising.